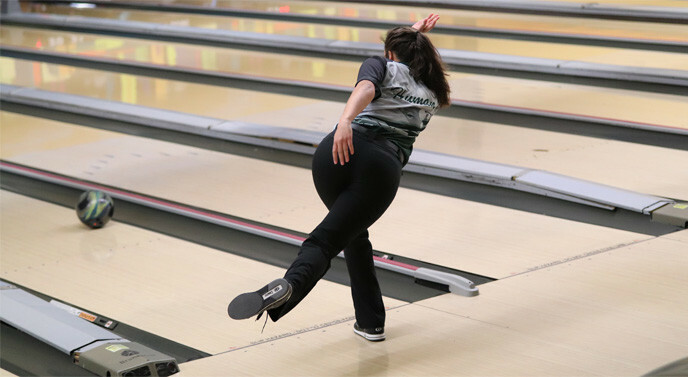 The Mulvane bowling team has started off the season in fine fashion as they have completed 2 triangulars and a dual and both the boys and the girls teams are 5-0. The Cats started off the season hosting the Collegiate Spartans and Valley Center Hornets in a home triangular at Derby Bowl. The mens varsity team posted a 2477 for the series led by Clement Heck with a 651 series, followed by Eian Roach (633), Gauge Harrness (583), Nathan May (544), JD Titus (529), and Joel Hileman (502). The boys outscored the Hornets 2477 - 2219 and the Spartans 2477 - 1786. The womens varsity team posted an 1898 and was led by Addy Schiffelbein who scored a 651 for the series. Addy was followed by Gabby Human (514), Patricia Raymer (367), Taylor Ingram (349), Samantha Conrad (323), and Emilija Sikorskyte (299). The girls outscored the Spartans 1898 - 1300 and the Hornets 1898 - 1629. The Wildcats traveled to McPherson the following day to take on McPherson and Cheney in another triangular. The Cats came out on top with the mens team scoring a 2362 over the Bulldogs (2242) and the Cardinals (2161). Harness was the top scorer for the cats with a 671 series followed by Titus (613), Heck (550), Hileman (528), May (444), and Roach (417). The womens team outscored the Bulldogs 1780 - 1712 and the Cardinals 1780 - 1096. Schiffelbein was the top scorer for the girls with a 533 series followed by Human (524), Ingram (373), Raymer (330), Conrad (315), and Sikorskyte (315). The Cats traveled to Andale on Tuesday to take on the Indians in a head to head match. The boys team posted a series score of 2452 to take down the Indians (2036). Heck lead the boys team with a series score of 612 followed by Harrness (611), Roach (595), Titus (585), Hileman (579), and May (489). The girls team dominated the Indians with a score of 1843 - 1304. The girls were lead by Schiffelbein with a series of 619 followed by Human (475), Ingram (368), Conrad (353), Raymer (345), and Herrman (344). The JV teams are also doing well with both boys and girls teams with a record of 4-1. The JV teams will travel to Wichita for JV Tournament at West Acres Bowl. The Wildcats will host Circle on January 29th at Derby Bowl with the dual starting at 3:30 PM.